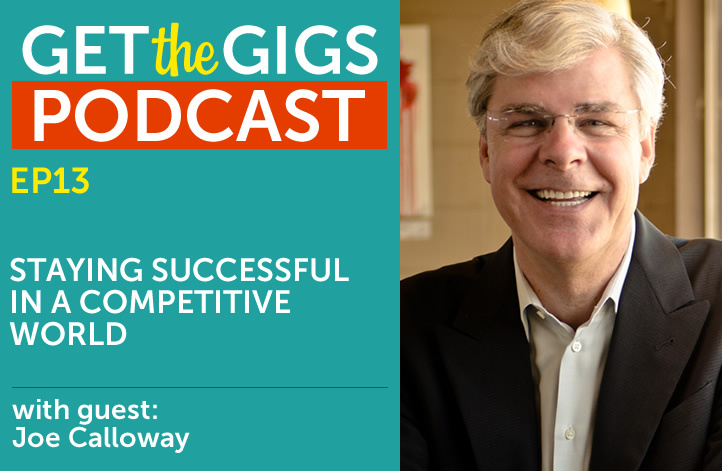 As a Hall of Fame speaker with over 30 years experience under his belt, Joe Calloway knows just how competitive the speaking industry can be. Fortunately, Joe also knows what it takes to be successful over the long haul. Joe drops by to share his wisdom when it comes to tweaking a keynote, going next-level on customer service, marketing game-changers, and more. How much work does Joe still put into polishing his keynotes, even after he’s given them hundreds of times? What’s the difference between a keynote from 10-15 years ago vs. today’s keynote? Joe discusses how crowded the marketplace has gotten in recent years. Joe’s first book was a game-changer for him. In fact, his book generated so much business, Joe increased his fees dramatically after it came out. Tiebreakers! What happens when it comes down to Joe and some other speaker? Besides the book, what have been some of Joe’s marketing game-changers? Joe gets his website redesigned how often? What is the best way to add an extra 0 to your speaking fee? Finally, Joe brings up an interesting point in this episode, a point I’ve heard echoed by other smart people in the speaking industry. If you want to command a certain speaking fee, you have to look like you cost twice as much. My question for you would be how much does it look like you cost? When people see your website, how much do they guess you charge for speaking? I recommend that you enlist someone you trust to be impartial and honest. Show them your website or some other marketing materials and ask them “what do you think I’m charging?” Then, let me know what they say. This isn’t just a rhetorical question- I actually want to know! Shoot me a message at derek@getthegigs.com with what you’ve discovered about your website and marketing. I’m sure we’ll uncover some interesting results.